Shanahan’s strives to offer the highest quality food and wine to our patrons. Our beef is no exception. Our meat specialist Anthony Dunne has developed a beef program to ensure that every single steak at Shanahan’s is the best. We only serve Certified Irish Angus beef steak, but what does this mean? The Aberdeen – Angus breed was developed in the early 19th century from the polled and predominantly black cattle of North East Scotland hence the breed name Aberdeen Angus. The breed was first introduced in Ireland in the 1860’s. Ireland was already famous for its cattle, and has been exporting livestock for nearly 1000 years. One in ten of all cattle in Ireland are now Angus. Irish breeders are dedicated and breed Irish Angus cattle with meticulous care. The Angus cattle has increased in popularity in recent years due to overwhelming demand for superior quality beef. Connoisseurs of beef appreciate the marbling and texture of Irish Angus beef steak ensuring natural succulence, tenderness and flavour. This is achieved through the combination of the characteristics of the Angus breed with strict adherence to processing procedures. All beef must come from registered, certified Irish Angus cattle to be titled Angus beef. A herd number is required before the purchase of any Angus cattle. 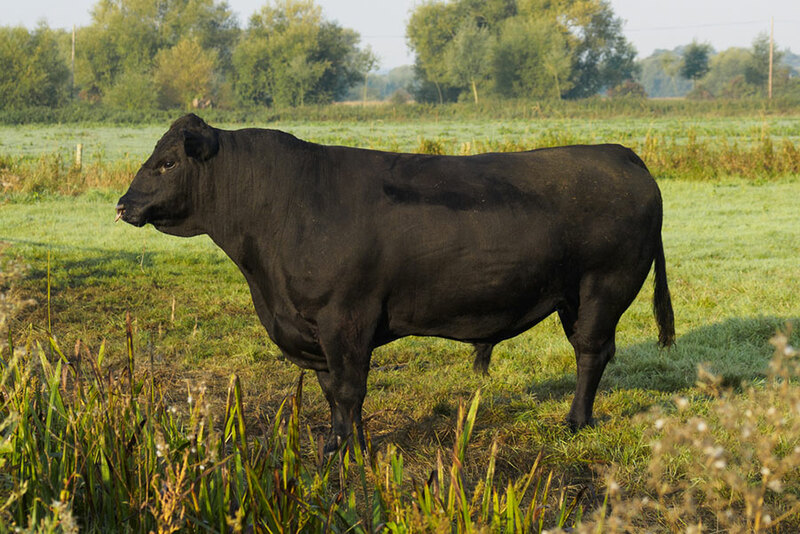 The hardy black cattle are reared on a grass-based diet supplemented during the winter months with native cereals. These diets are 100% natural and free from illegal additives and growth promoting substances. Each animal has a complete lifeline of traceable growth up to the time of slaughter. This record is for safety reasons and leaves no room for any disease or malformations. In our program, we are proud to say we have full trace ability in the steer we use. Shanahan’s priority is to use only steer meat. Anthony Dunne examines each side of steer and selects the six bone ribs that have the best marbling and highest fat content. These ribs are what we use for the Shanahan Steak. Once the ribs have been cut from the carcass, they are then sent to a rack to be dry aged for 1-2 weeks. After we have picked the ribs, we begin hand selecting the tenderloins, or filets and whole striploins for the restaurant. Size and marbling are the key elements we look for in our selection. We pull all steer meat possible and if necessary, we select any heifer meat we might need. Once we have chosen the sides we like, we tag the meat and send it down the belt to be cryovacked (vacuum packed), weighed and labelled. Once labelled, we open the box and take an inventory of the meat. The box is then tagged a second time with a Shanahan number so that we know exactly what is inside each box. The box is sealed and placed on a palate with the rest of the day’s selection. The meat will now sit in cryovacked bags and wet age. For the filets, they should wet age for no more than three weeks. The striploins however, can age longer and are best 40-45 days from the pack date. Depending upon demand in the restaurant, we portion cut 1-3 times per week. We cut between 3-5 boxes of filets and 1-3 boxes of strips. Dry aging is a process used in America to age beef to create a unique flavour. It is essential for prime beef. The beef on the bone hangs in cold lockers for an average of 21 days. During that time, connective tissue that holds the muscle together deteriorates, increasing tenderness while moisture evaporates resulting in a firmer texture and more concentrated beef flavour. Wet aging is also very common. The aging process is done in a cryovac bag and for a longer period of time. This changes the texture of the beef and tends to make it softer to touch and not as firm as dry aging. In a good piece of dry-aged beef, the surrounding fat, which should be substantial and not thin, dry, or ivory, will be webbed throughout with veins of fat, in thin strands much like the veins in a piece of marble rather than one or two large pockets of fat. Tender steaks come from just three sections of the carcass. The rib section and immediately behind that, the short loin and the sirloin, both of which come from the loin. 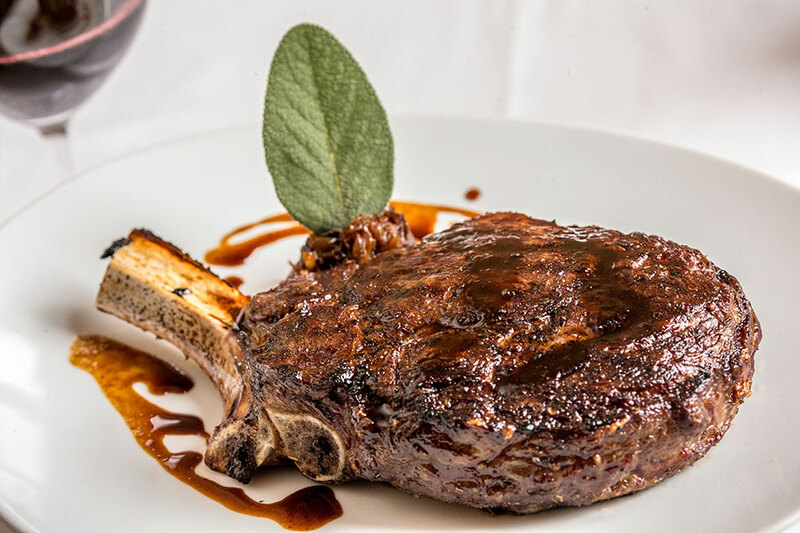 Of these, the most tender come from the short loin, which when cut into steaks with the bone left in produces the porterhouse, the T-bone, and club steaks. If the bone is removed, the same meat is transformed into a selection of cuts such as the New York, toploin, and striploin. The variety of cuts means it is crucial to have someone knowledgeable working with the butcher on purchasing meat to experience the Irish Angus beef steak you best prefer.